Homes that were built before 1962, often suffer from some form of foundation issues or degradation. As a result, the structure of a home’s foundation can become unstable and/or unsafe. If you’ve noticed any signs of foundation damage, it’s important to contact a foundation specialist to conduct a thorough inspection. 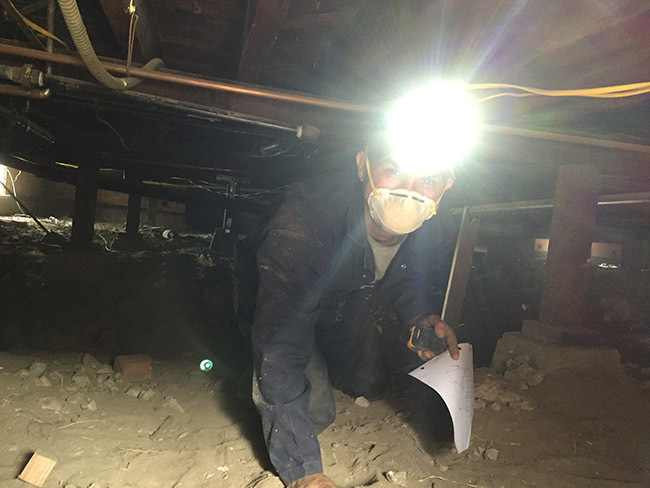 Companies, like Julian Construction, will send one of their qualified foundation inspectors to the property to determine the condition of the home’s foundation. They’ll look at the exterior perimeter of the home, in addition to the interior of the home, before looking under the property. On the outside of the home, the inspector will look for signs of moisture. Inside, they’ll examine the house for signs like large cracks in the seams of the walls, uneven or sloping floors, or doors and windows that stick. At the end of the inspection, the inspector will provide the homeowner with a detailed summary of their findings, in addition to their recommendations for repair or replacement. 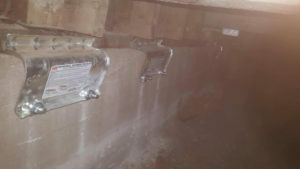 Sometimes the property will need simple foundation repair, seismic retrofitting or total foundation replacement to remedy any issues or properly secure the house to it’s foundation. If the property needs foundation repair, the inspector will suggest repairing cracked, settled, and shifted areas of the structure’s concrete perimeter and walls. Aside from fixing any cracks, the home may need wood repair to fix the framing, structural parts of the house, or to remedy any issues with the house’s post and piers. If the home needs seismic retrofitting, the foundation specialist will recommend adding additional hardware like house bolts, plywood and/or framing to the foundation, which helps protect the house from the side-to-side shaking or back-and-forth movement during an earthquake. If you’ve recently purchased a home with foundation issues, or have noticed things like sticking doors and windows, uneven floors, large cracks and water saturation, it’s important to contact a foundation repair company immediately, because these problems will only get worse with time. For a Free Inspection of your home for homeowners, call us at 323-733-3377, or fill out the form below.